I’m not the biggest fan of cases for smartphones, but according to our recent poll, I am in the minority. People want to protect their smartphones, and you know what, I understand where you’re coming from. Especially on the Galaxy S8 and Galaxy S8+, with all of its glass and hardly any bezel, there’s no doubt you’ll want a case to protect it. 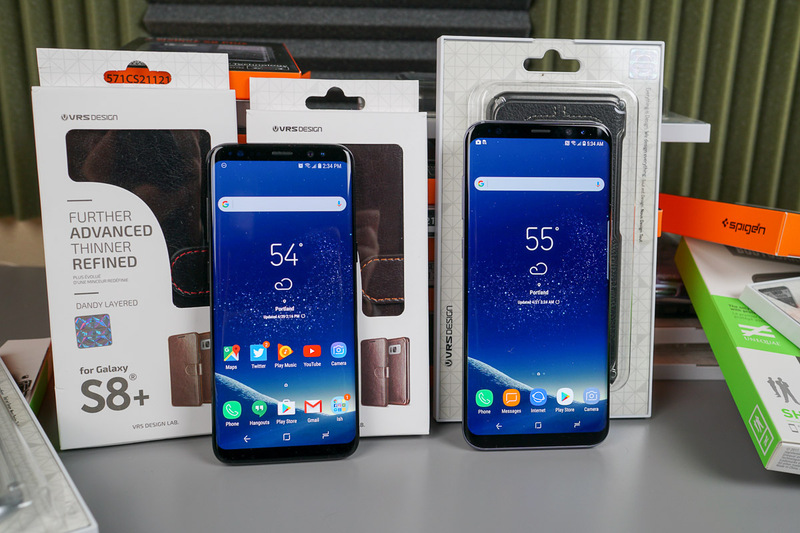 In an effort to show you a few of the better options out there from companies like Spigen, BodyGuardz and VRS Design, we’ve put together the below video to show you what’s out there for the S8 and S8+. In the video, we go over options like Thin Fit, Crystal Bumper, wallet cases, armor cases, and neo hybrid cases. There are so many options out there, it’s completely realistic to believe there is a case tailored specifically to suit your needs. If you are looking for a direct recommendation, I really quite like the Spigen Thin Fit options for the S8 and S8+, simply because there’s no a lot of added bulk when the case is on. Yes, it covers up the gorgeous backside of the device, but at least you’ll know your corners and back glass are safe from a tumble. Another option I appreciate is the Wallet S. Not only is it a case, but can double as a wallet for anyone with big enough pockets to accommodate it. Links can be found to these aforementioned cases below, as well as a couple others that I recommend. If you missed it, we’re giving away all of these cases, so if you’d like the opportunity of winning one, you can find details here. Will you be using a case your Galaxy S8 or Galaxy S8+?